An Outdoor Christmas 3D hologram is slowing traffic in Texas. The Grinch might have stolen Christmas but a holographic holiday display has stolen the show in a Texas neighbour this Christmas season. Jay Fernandez owner of The New Lake Conroe Boat Rentals wanted to so something festive for the holiday season using modern technology that would create some Christmas excitement in a neighbourhood already known to locals for its extravagant outdoor Christmas decorations during December. The 3D animated projections have proven a traffic stopper with both existing neighbours and visitors to the neighbourhood. 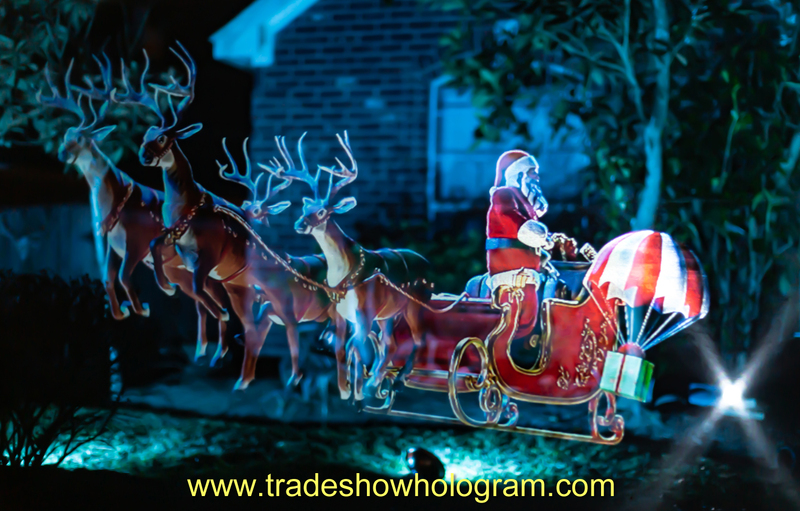 Outdoor Christmas 3D Holograms are created with a blend of modern technology and theatrical effects. A 3D animated Holographic Projection appears to float in mid air.